In order to work toward a future for everyone where people have the power to shape their communities, it’s vital to invest right here at home in the San Francisco Bay Area. One way CZI aims to do just that is through our annual Day of Service, an event that builds upon our local community engagement, grantmaking and volunteering throughout the year to learn from and support our neighboring communities. In honor of Martin Luther King, Jr. Day, about 300 CZI team members volunteered with 10 Bay Area organizations during this year’s day of service on Friday. These community groups are working to address one of the region’s most pressing challenges — homelessness. Working alongside our partners at Ecumenical Hunger Program, Project WeHOPE, and Street Life Ministries, CZI staff volunteered at shelters, sorted and served food to those in need, and assembled hygiene kits for homeless youth, among other activities. CZI has made an initial round of grants to several local organizations serving children, youth, and families in San Mateo County who are impacted by homelessness. Through these grants, we hope to deepen our understanding of the needs of youth and families facing homelessness in our community and to learn from organizations leading the way in addressing these challenges. Samaritan House, which provides food, access to shelter, healthcare, and a broad range of supportive services in San Mateo County. At the core of our Bay Area work is the belief that the people most impacted by the challenges their communities face should lead the development of solutions, and these grants will help bolster organizations providing solutions to some of our most vulnerable community members. They will also allow CZI to deepen our understanding of the complex issue of homelessness as we learn alongside some of the leading organizations in this space. 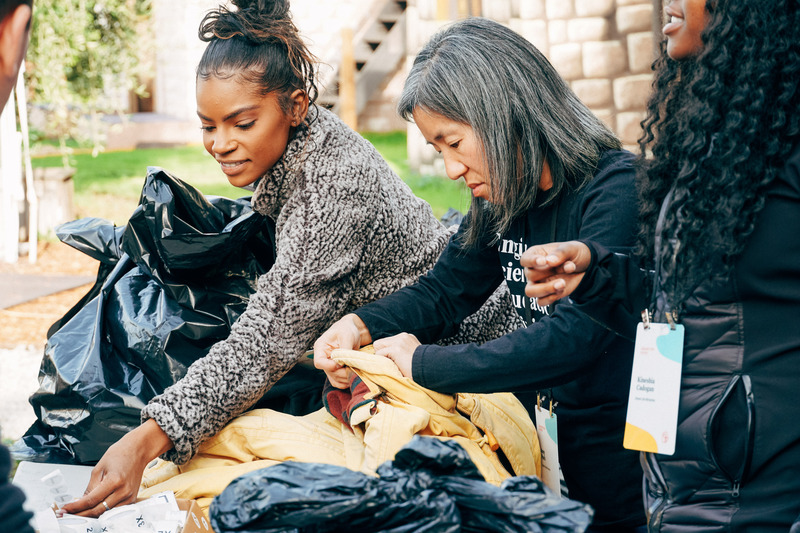 The Day of Service was organized by CZI’s Community Team, which, in partnership with local organizations, community leaders, and residents, works to create greater opportunity for more residents in the San Francisco Bay Area. Thank you to everyone who participated in the Day of Service and made it so rewarding and memorable. And special thanks to our partners and those working every day to build a more inclusive, just, and healthy future for all.